Action Starter, Birmingham based technology company, announces strategic partnership with CXS Analytics, a worldwide technology company, during the largest ever UK Mega Tech Mission to Malaysia. The 3 day mission mission at the beginning of October 2017 was led by the UK Department for International Trade in collaboration with Malaysia Digital Economy Corporation (MDEC), the Johor State Investment Centre and Global Business Services Iskandar. It took place in Kuala Lumpur and Johor, and involved over 42 UK companies. 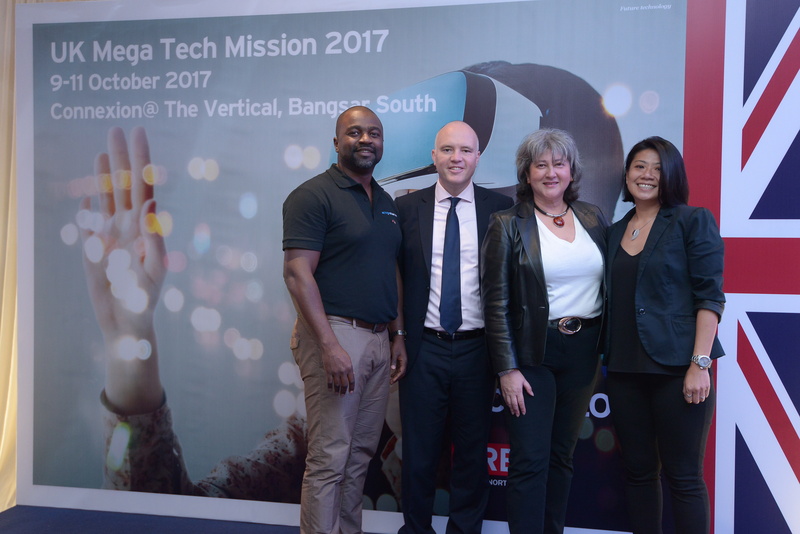 The UK Mega Tech Mission is a unique opportunity allowing UK companies to showcase various technologies including cloud, fintech, smart technology, artificial intelligence and more, whilst at the same time establishing long-term collaborative partnerships with businesses in Malaysia and paving a gateway to other markets in the ASEAN region. During the event, our partnership with CXS Analytics was formed and announced. The relationship between ActionStarter and CXS Analytics will deliver digital solutions to job seekers, policymakers and educators through the integration of our platforms. Together with CXS, we are aspiring to address employment, training and development issues. The technology behind our three cloud based products will be fundamental in our partnership with CXS Analytics. One of them, HEIapply is the web-based platform we have built that empowers organisations worldwide to enable the ultimate applicant journey. Simon continues, ‘Our service to the global education sector has improved application, registration and admissions processes in public and prive sector schools, international schools, FE and HE colleges and Universities. The platform has also solved similar problems for charities, vocational insitutions and business incubators. It is now clear that the governments around the world want to make it easy for citizens to apply to courses and develop their skills. Both companies are expecting to announce new investment and jobs in both the UK and Malaysia early in 2018. Find out more about the Action Starter’s products here. Or use this form to get in touch with any questions.